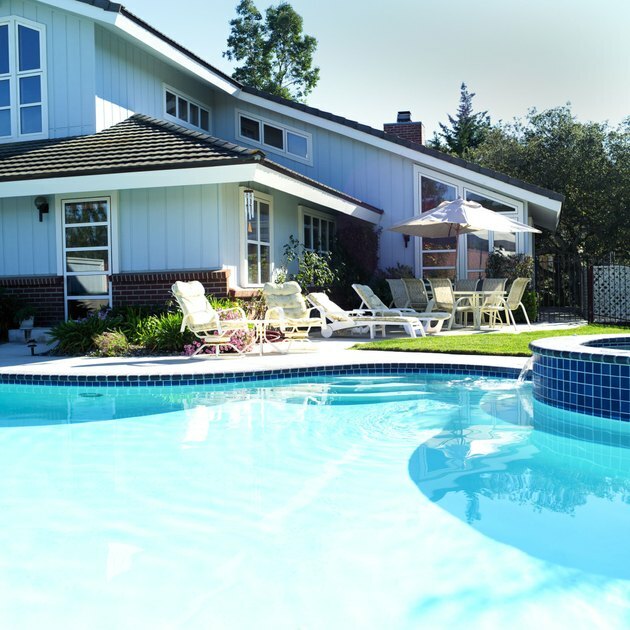 When considering whether you would like to install a pool or purchase a home with a pool or a membership to a community pool, consider the benefits of swimming pools. Although you might not be an exceptional swimmer, you can still enjoy a swimming pool. Having a backyard pool gives you immediate access to numerous ways of keeping in shape, but visiting a community pool is also suitable. Swimming is one of the best low-impact exercises in which you&rsquo;re able to get a high-quality cardiovascular workout while minimizing stress on your joints. Cardiovascular exercise gets your heart rate up, and your lungs get a workout. It's the type of exercise that burns the most calories and should be carried out for at least 30 minutes several times a week for maximum benefits to your heart, lungs and circulation, as recommended by the American Heart Association. Additionally, low-impact exercises are a comfortable way for pregnant and overweight individuals to get a workout. A swimming pool is a delightful place to spend time, where people of all ages can enjoy time together playing &ldquo;Marco Polo&rdquo; or simply splashing and playing. Your family and friends can be invited over to enjoy a gathering oriented around activity rather than just eating food, like at most barbecues. In this way, swimming can help you achieve your fitness goals without sacrificing your social life. Findings released in 2009 from a study in Taiwan found that unlike other forms of cardiovascular exercise, swimming is unlikely to provoke asthma attacks. The study found that the children who participated gained additional benefits that complemented their increased fitness, such as increased confidence and increased lung volume.